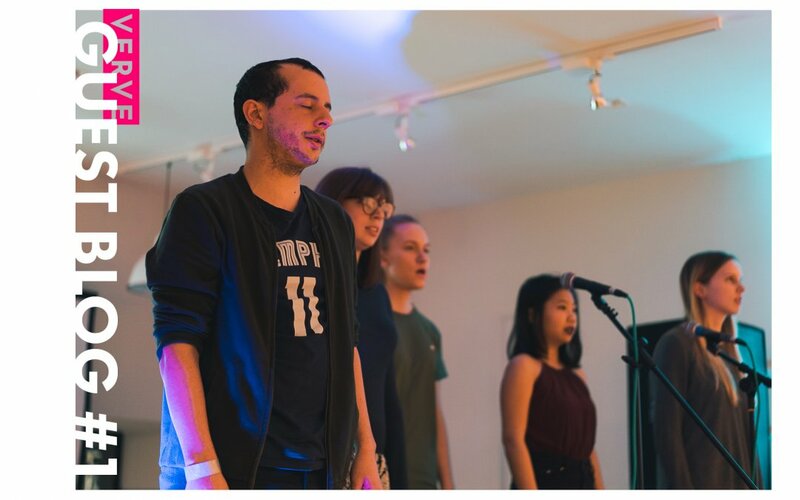 The poets who currently comprise the Second City Poets (along with Mikey Barnes) competed in and won UniSlam 2018, the UK’s international collegiate slam. Following that experience and thinking fondly of how well we worked together, regardless of the outcome of the slam, we approached the summer not knowing if we would have a chance to collaborate again. Everyone wanted to say something that might keep us together as a group – “Hey, we should form a collective” or “Let’s write a full-length show and take it to festivals” – but, between our individual schedules and not knowing what exactly that project would be, it was difficult to set aside the time to begin forming something tangible. 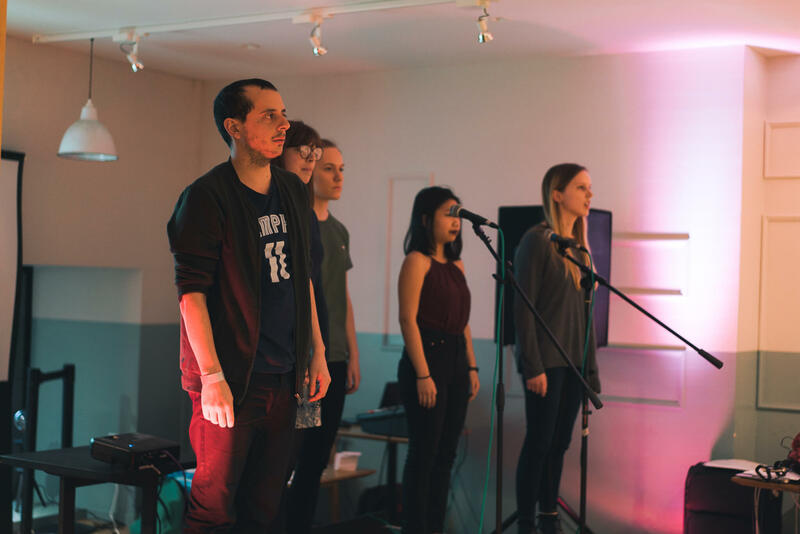 When the Verve team approached us and offered to commission Playground, there was a collective sigh of relief about having an official reason to keep meeting, writing and performing together. It made complete sense to us to develop something long-form as a unit and, luckily, it made sense to Verve, who gave us that push. Second City Poets isn’t a name that was chosen haphazardly simply because of us being based in Birmingham. For most of us, this city became our second home – the second city in which we’ve connected with the people around us and built new lives for ourselves. We knew that diversity of geographical background was something we could use as inspiration for the show, as all five of us were born in and spent our formative years in different countries: myself (United States), Anne Gill (born in Wales, attended school in France), Kimberley Knaggs (Vietnam), Hannah Ledlie (Scotland) and Hannah Swingler (England). All that we needed, then, was a setting around which to pivot. 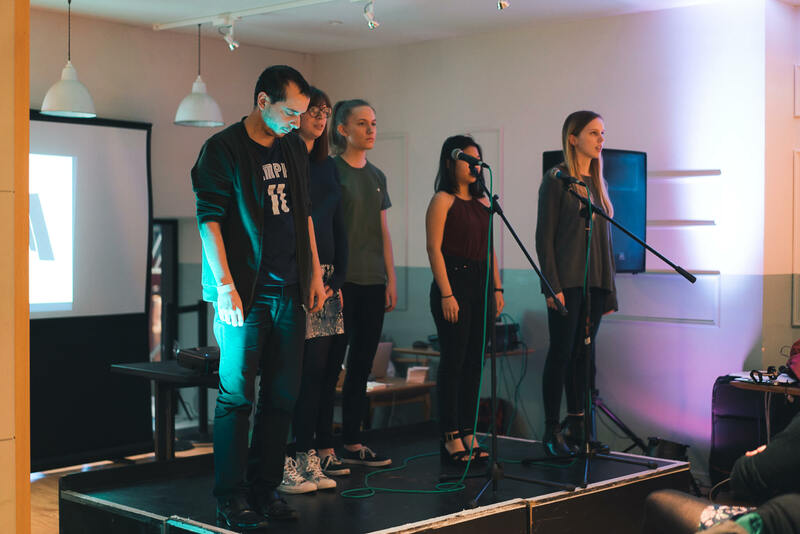 And while we take our poetry incredibly seriously and make sure our performances are as polished and professional as possible, we are – off the stage – shall we say…different? If “children” denotes immaturity, then substitute it for another word that represents how much fun we have together, being goofy and running each other up the walls (although, we do tend to get immature after a certain number of hours together; ask the others – not me – for stories). What better setting to put us in than the playground, then? Playground, while having a narrative immersed in the physical location of the playground itself, tackles much more than issues stemming from childhood (which are enough to use as building blocks for a dozen other shows, probably). We wanted to use the playground and its interpersonal dynamics as foils for adult life. Power relations between student and teacher or between different students at different places on the social ladder find their counterparts in the workplace and in friendship groups much later in life. So much of the groundwork for who we grow up into and become is laid in childhood, and Playground has allowed us to trace back meaningful events and our own characteristics to their inceptions. This show gives its audience the experience – sometimes pleasant, often brutally cutthroat – of life on life’s myriad playgrounds from five different perspectives that sometimes harmonize in powerful, empathetic ways. We’ve enjoyed seeing it all unfold as we write it, and we hope the audience similarly enjoys it and remembers their time on their playgrounds, too. UniSlam gave us – poets who are already pre-disposed to enjoy collaborating – an environment in which we could work together. 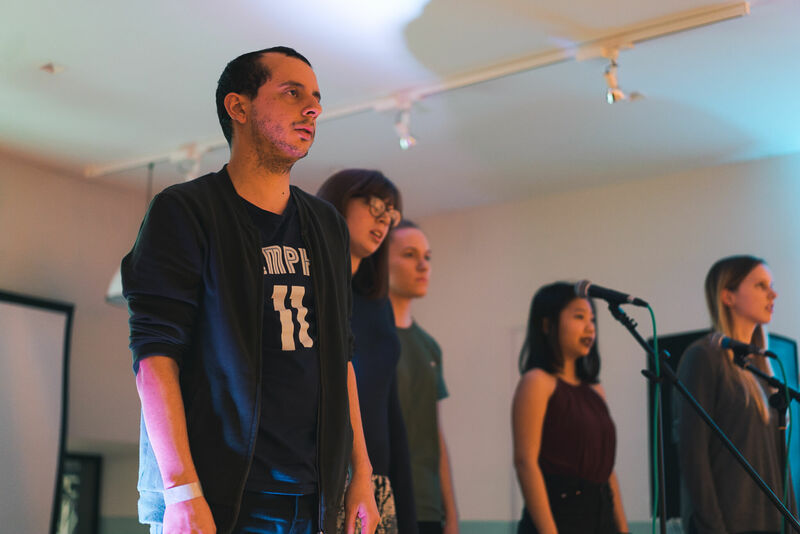 We’re incredibly grateful that organisations like Verve exist, as they also champion artists working alongside each other to create something greater than the sum of their parts. A massive thank you to the team from all of us.